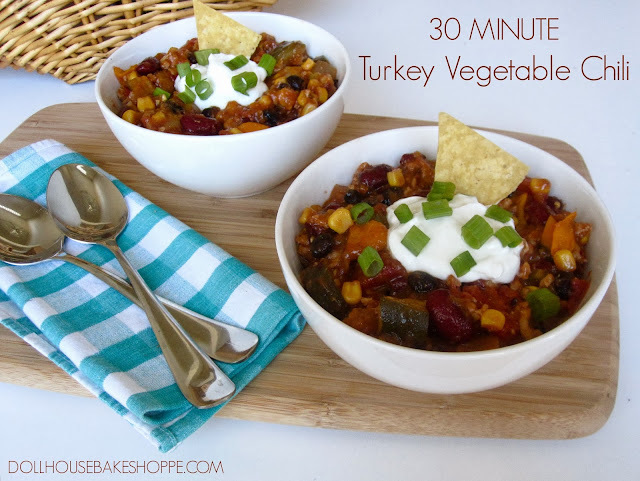 This recipe is sooo easy, yet so much fun and super impressive! Just start with a box of cornbread mix (regular OR gluten free!) and take it to the next level by doctoring it up with some chopped jalapenos and even some bacon and cheese, for fully loaded gourmet cornbread muffins! Bake the corn bread in a mini muffin pan for perfect individual servings and finish it off with some super siple, 2-ingredient homemade honey butter that pairs so perfectly with the spice in the jalapeno! I left some muffins with just the jalapeno mixed in, and added some bacon to a few and sprinkled some cheddar cheese on top of the last few. 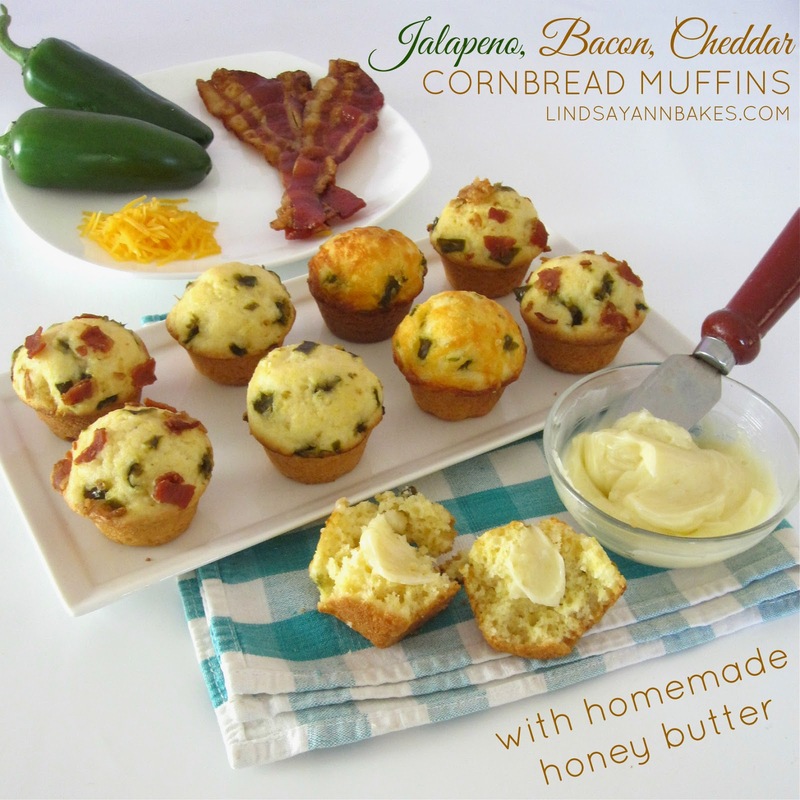 You can even mix the bacon and cheese in with the jalapeno for a fully loaded cornbread muffin! Then just pop them in the oven and out comes cute little single serving portion muffins, great for grab and go, or serving with dinner. The honey butter could not be easier. 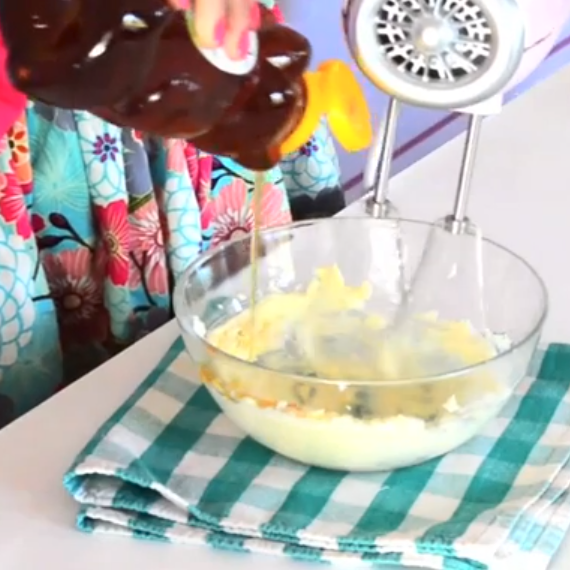 You just beat together some softened butter with a little honey and you're done! You can even do it by hand if you are using a soft butter spread or magarine. Preheat oven to 375°F. 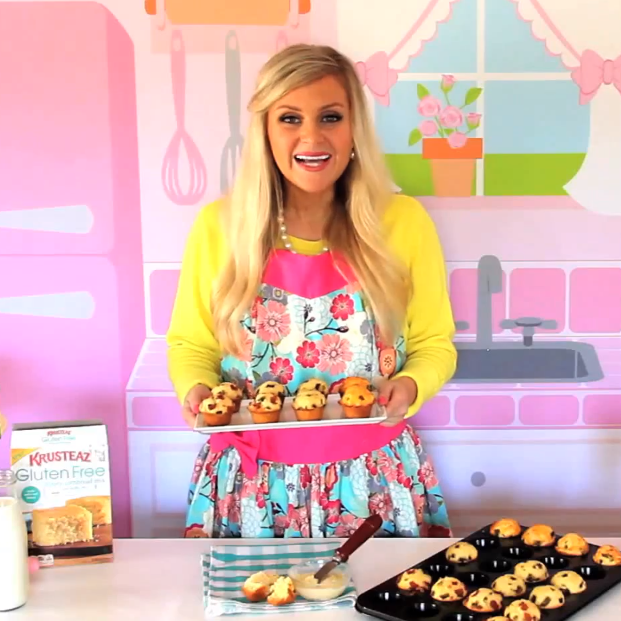 Spray a 24-cup muffin pan with non-stick cooking spray. Prepare cornbread mix as directed as box. Gently fold in jalapenos, bacon and cheese, reserving some to sprinkle on top for color. 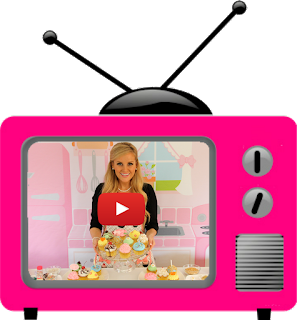 Distribute the batter between the 24 cups and sprinkle on remaining toppings. Bake for 15-17 minutes or until light golden brown. Beat butter and honey together until well combined. Place in a bowl for serving, spoon onto plastic wrap, roll into a log and refrigerate for slicing, or pipe individual butter pads onto parchment paper. Serve with muffins. Disclosure: This is a sponsored post by Krusteaz. As always, all recipes and opinions are my own.